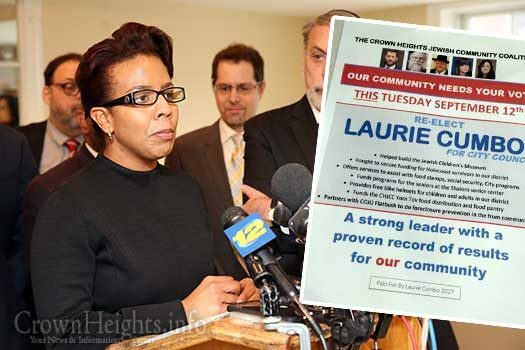 With the Democratic Primary Elections set to take place Tuesday, September 12th, Laurie Cumbo — who represents Crown Heights’ 35th District and began her career by blaming “Jewish landlords” for the unprovoked attacks of the “knockout game” — snagged an endorsement from a self-proclaimed “Crown Heights Jewish Coalition,” which touts her supposed qualifications and alleged assistance to the Jewish community. With the Democratic Party’s election primaries scheduled to take place tomorrow, Tuesday, September 12th, across New York City, candidates have been proudly touting their endorsements in the hopes of securing their respective positions as incumbents, while challengers are hoping to upend this election with promises of reform. One hot button issue is housing, and in Crown Heights, where dozens of projects are in various stages of completion, the race is particularly fierce. Incumbent Laurie Cumbo, who currently represents the 35th council district — which encompasses most of Crown Heights, is being accused of taking a large percentage of her campaign contributions from developers, landlords and the hospitality industry. Current zoning laws are restrictive and do not allow a number of development projects to be as large as their owners would like to build. One of those developers – Cornell Reality – which has a number of projects in Crown Heights, has already secured construction permits but has not begun work – presumably to wait for the outcome of the city council primaries. The city council members can help secure variances and other remedies to allow developers to build far larger than they would otherwise be allowed. Cumbo being accused of “being in the landlords’ pockets” is particularly ironic given insensitive statements she made after having first been elected in 2014. In an interview with The Jewish Week, Cumbo seemed to lay blame on “Jewish landlords” for the violent outbursts known as the ‘knockout game,’ that saw many Jewish Crown Heights residents attacked without provocation. 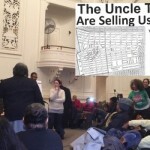 Cumbo also echoed the famous anti-Semitic stereotype of ‘Jews with moneybags’ attempting to purchase homes from black people in Crown Heights. Further showing she’s not a true friend of the Jewish community, Cumbo abstained from voting on a city council resolution denouncing the anti-Israel Boycott, Divestment and Sanction movement. The resolution ultimately passed by an overwhelming 40 to 4 vote. 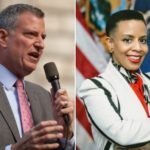 Following the vote, Cumbo was quoted by Hamodia saying, “as a black woman, the fact that I’m here as a city council member is because my ancestors and the people before them had the right to boycott,” proudly demonstrating her support for the BDS movements’ right to boycott Israel. 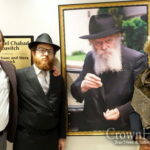 Last week, a group calling itself the Crown Heights Jewish Community Coalition has come out with endorsements for the upcoming primaries, endorsing Cumbo for another term at the city council. One of the coalition’s supposed members outright denied being a part of the coalition. Hecht also pointed out that his organization, the NCFJE, received funds through Cumbo’s allocations for their food pantry, “as we have received from her predecessor as well,” he concluded. CrownHeights.info also reached out to Zaki Tamir — another supposed member of the coalition — hoping to clarify details about it. He responded with confusion as to which coalition he was a part of, “are you talking about the one by [Eric] Gonzalez?” When further pressed, he asked if it was the political action committee that Shmuel Malamud and he were a part of. 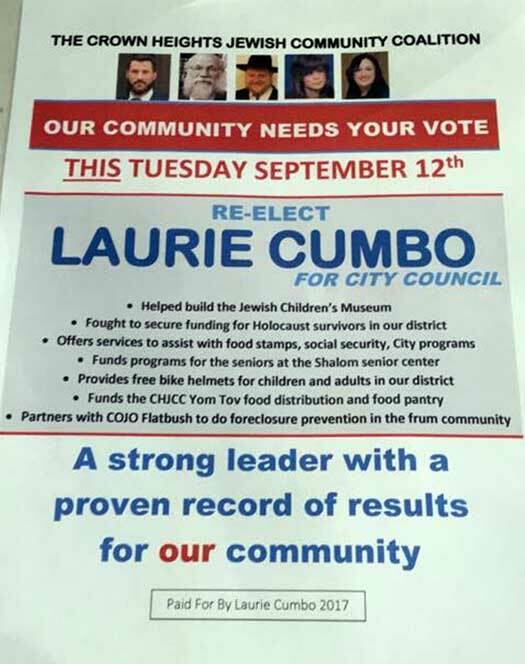 Cumbo, who first assumed office on January 1, 2014, is being touted by the coalition as “helping to build the Jewish Children’s Museum” as their primary reason for supporting her. This assertion is particularly eyebrow-raising, since the museum was completed in 2004, as we have reported. The coalition also touts working with COJO of Flatbush to give foreclosure assistance, none of which is helpful to her district and residents of Crown Heights. Cumbo is locked in a fierce battle with challenger Ede Fox, with both candidates raising campaign contributions up to the maximum – $95,095 – they can each receive in matching public funds from the city. Fox has made her campaign cornerstone opposing overdevelopment and opposing any deal with the Bedford-Union Armory that brings less than 100% affordable housing. Four members of the coalition contributed to Cumbo’s campaign as well, including; Chanina Sperlin, who contributed $1,000, Devorah Halberstam, who contributed $175, Michaella Soffer, who contributed $175, and Zaki Tamir, who contributed $75. Of course she panders to us, we give her and all the other local sleazebags as much kovod as we can. Quid pro quo. Thank you CrownHeights.info for clarifying the issue about the upcoming elections. We now have a clear candidate to support = Ede Fox. Look at Shea squirming like a worm with double-talk. He is compromised since he gets money from cuombo. Anyone who Sperling supports we should stay away from. Zaki (the lightweight) go home. Vote for Ede Fox, at least she is not a brazen anti-semite. The Sperlins own most of the buildings in Crown Heights, how many Jews live in those buildings? How affordable have they made it for Jews? Show me one project the Sperlin build for fellow Jews? Only landlord building for Yiddin is Reb Dovid Fischer. You have to vote out and it has to be the whole community that rejects them!!!!!!!!!!!!!!!!!!!!!!!! The hood is a ship of fools,with the heimishe crooked leading them. These politicians have done NOTHING for our community. Who elected Sperlin to hand out endorsements? He makes up a phony position for himself while accomplishing nothing for the community and we are supposed to listen to this guy? Why hasn’t there been a voter drive in over a decade and a half? Why has our community expanded, but the number of registered voters not kept pace? The only time we hear from these politicians is during elections and then we get nothing and they come back the next election for our vote again. Why are these unelected and self-appointed individuals given a platform? We didn’t elect Sperlin. In the last elections, even with all the corruption that took place, Sperlin lost and lost big time. Chanina Sperlin and Co. don’t care for Jews. I remind you that Chanina Sperlin and Co. were behind the biggest MESIRA on Jews of all times, just eight years ago with the Shomrim Six Blood libel!